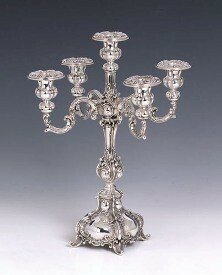 Our sensational sterling silver candelabras will be desired by you. 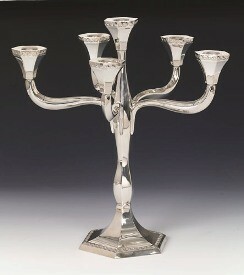 These candelabras are available in various designs & sizes. 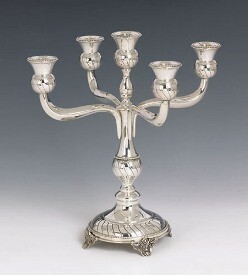 The sterling silver candelabras are made to custom order, according to the design and number of candles you may want to light. 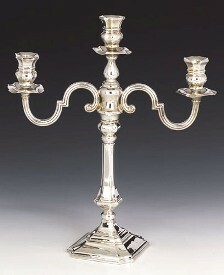 When wanting to create the utmost in elegance and style, you can look no further for the perfect centrepiece and candelabra. 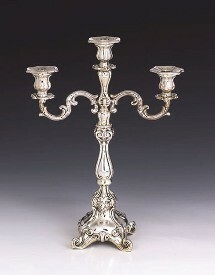 All our candelabras are hallmarked 925 and are manufactured from the finest silver. 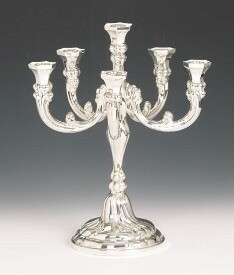 These sterling silver candelabras take between 4 - 8 weeks for custom orders. 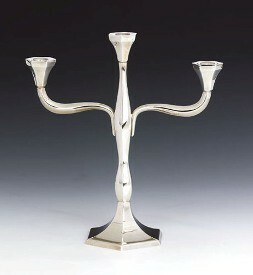 Choose from 3, 4, 5 or 6 arms. 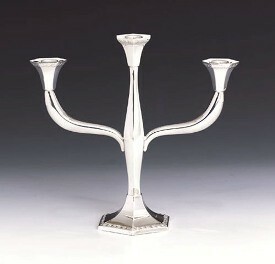 Perhaps you may need more arms, or would like a particular design. 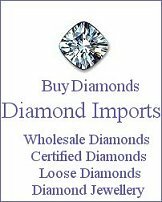 Why not email us with your requirements. 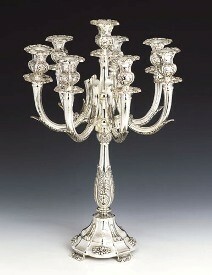 For a treasured gift that will last many a lifetime, order a sterling silver candelabra today. 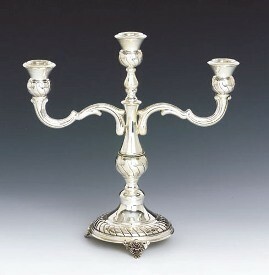 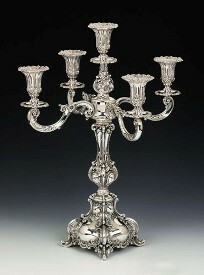 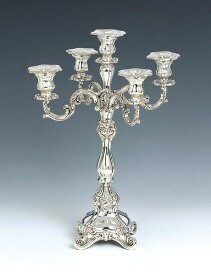 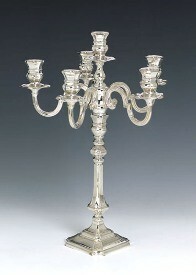 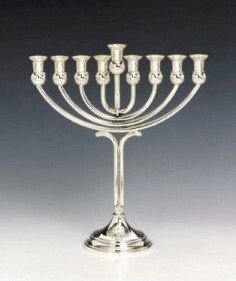 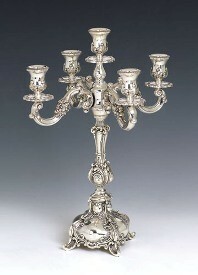 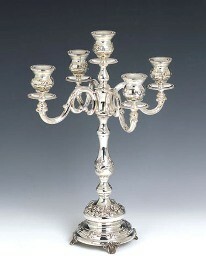 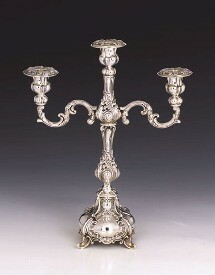 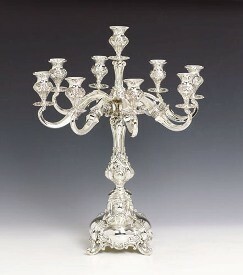 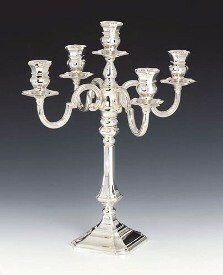 You will be pleased with your custom purchase of a sterling silver candelabra from Silver Imports.